Eman Ahmed had been in Abu Dhabi since May. Reports in the UAE media had claimed that she was seen "dancing in her bed" last month. 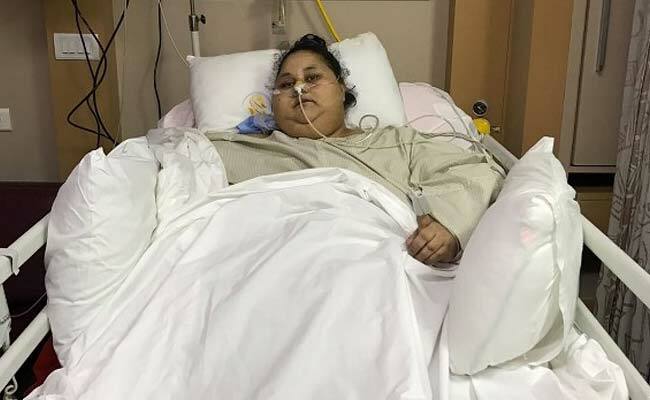 World's heaviest woman Eman Ahmed, who came to India for weight-loss surgery and then flew to Abu Dhabi for further treatment amid controversy, has died at 37. Doctors said she died today of complications including heart disease and kidney dysfunction. She was treated at the city's famed Saifee hospital by a team of around 15 doctors led by renowned specialist Muffazal Lakdawala. 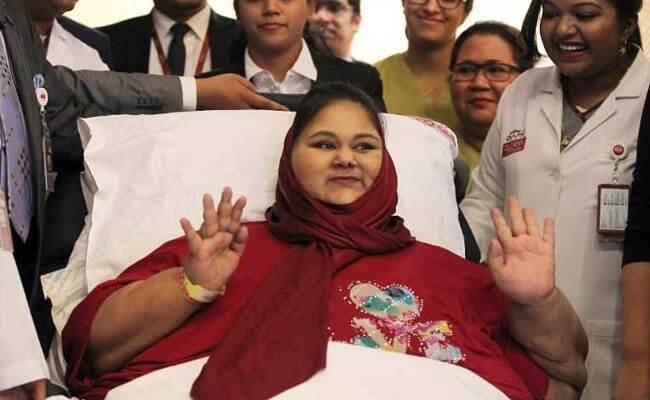 She reportedly lost 324 kg during her weight-loss treatment at the Mumbai hospital; she was on a special liquid diet to reduce her weight enough so that doctors could perform bariatric surgery. Ms Ahmed's sister had alleged that her treatment in Mumbai had been far short of satisfactory and that the family had been misled. She also claimed in a secretly filmed video that doctors at Saifee were using her sister for publicity. Doctors, however, dismissed the allegations as "complete hogwash", alleging that the woman only wanted to extend her sister's stay at the hospital. Dr Lakdawala, who supervised her treatment at the Saifee hospital, said the hospital did not charge "a single penny" from Ms Ahmed's family. "We are happy that we did bring her weight down," he had said in response to the family's charges. Ms Ahmed had not stepped out of her house for more than two decades due to her weight and a stroke that left her paralysed a year ago.